On Tuesday, January 24, the Board of Sanitary Commissioners of the Sanitary District of Hammond unanimously passed a resolution approving a final agreement with state and federal environmental agencies to address combined sewer overflows required by the federal Clean Water Act. The projects called for by this agreement known as a “consent decree” will yield significant environmental benefits for Hammond and Munster residents and improves water quality of the Grand Calumet and the Little Calumet Rivers and ultimately Lake Michigan. Last August, the Board voted to approve a tentative agreement that was in the final stages of negotiation with the United States Environmental Protection Agency (EPA) and the Indiana Department of Environmental Management (IDEM). Under the consent decree, the District will avoid a lawsuit threatened by EPA and IDEM that would not have benefitted District ratepayers or the environment. That lawsuit is now off the table. The consent decree also settles an enforcement action brought by EPA against the District in 2011 that was designed to induce the District to sign an earlier version of the consent decree that the District believed was unfair to ratepayers. Under the final consent decree, to safeguard District ratepayers from dramatic rate increases all at once, HSD will have more than 18 years from the signing of the consent decree to complete the mandated capital improvements to reduce combined sewer overflows. The consent decree calls for finalizing a plan likely during the middle of 2018 that will require the District to implement a series of construction projects to prevent over a billion gallons of combined sanitary and stormwater from discharging into the Grand and Little Calumet Rivers annually. The largest of these projects, a large basin on Columbia Avenue, was already completed in late 2014. 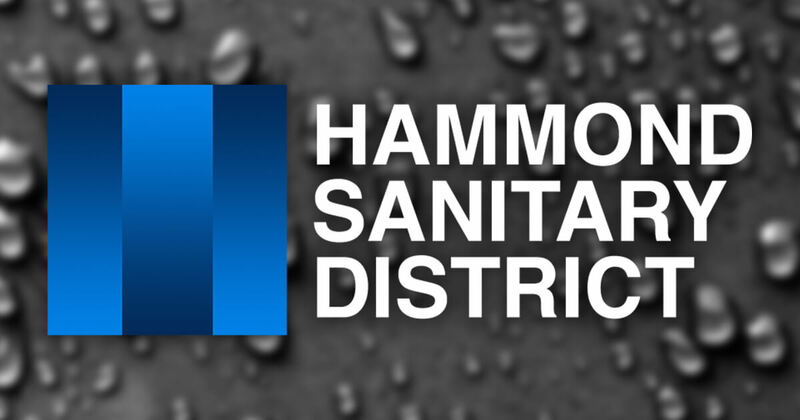 The Hammond Sanitary District is made up of Hammond and Munster and also serves customer municipalities of Griffith, Highland, and Whiting. It is a separate governmental unit from the City of Hammond with its own governing body of five Sanitary Commissioners – four appointed by the Mayor of Hammond and one by the Town of Munster.